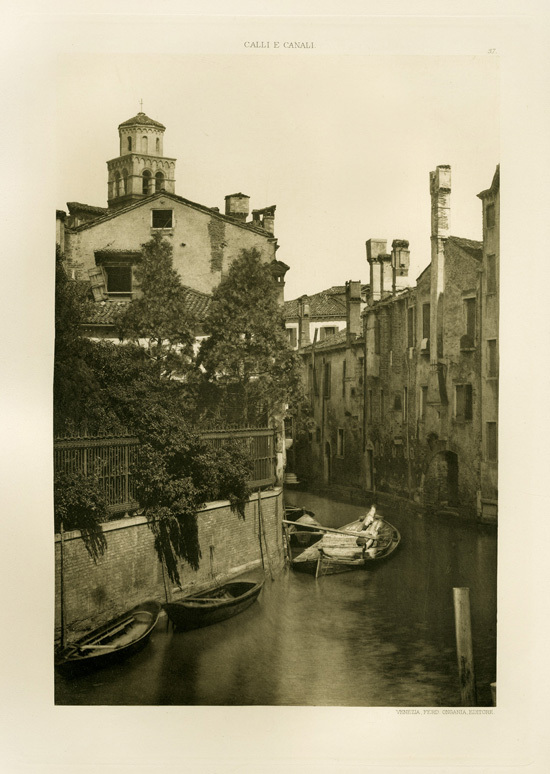 Click on the images to see the original index page description for each print. 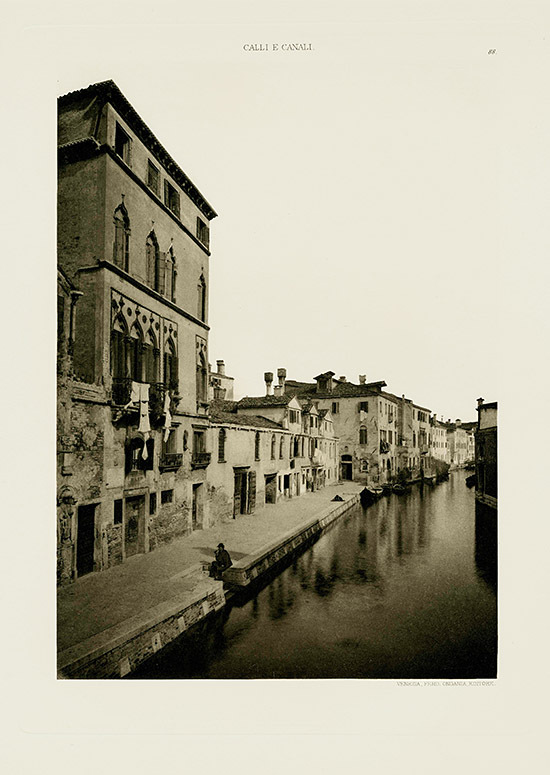 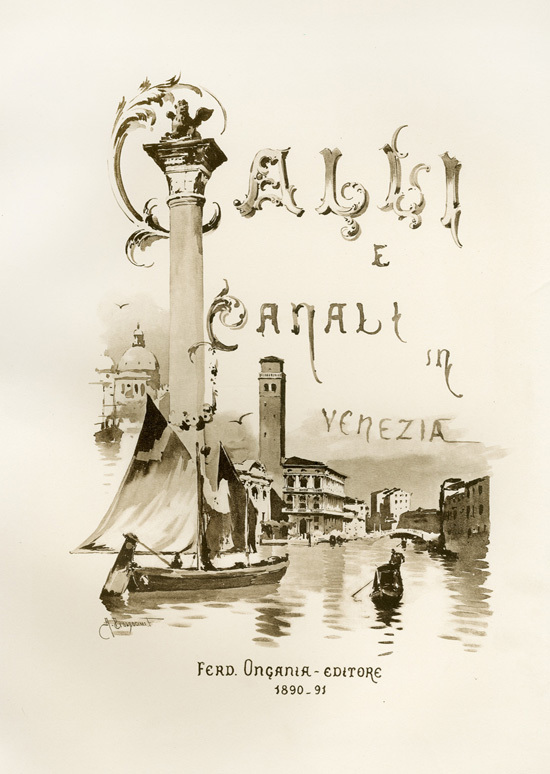 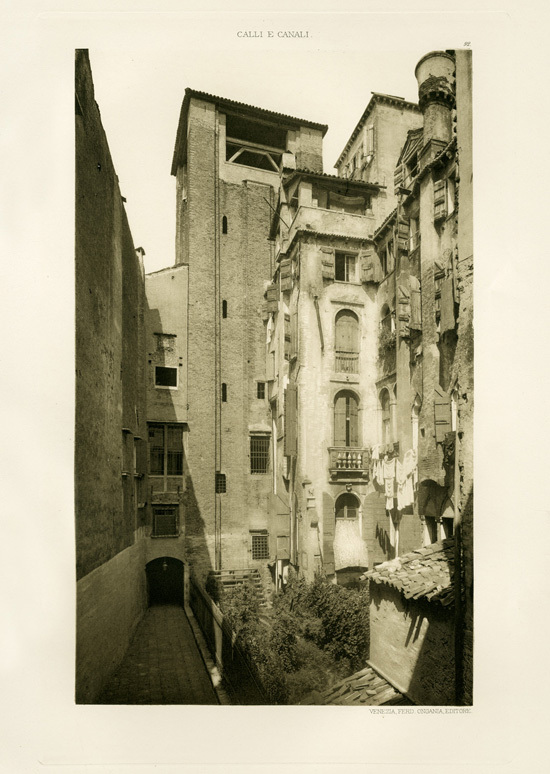 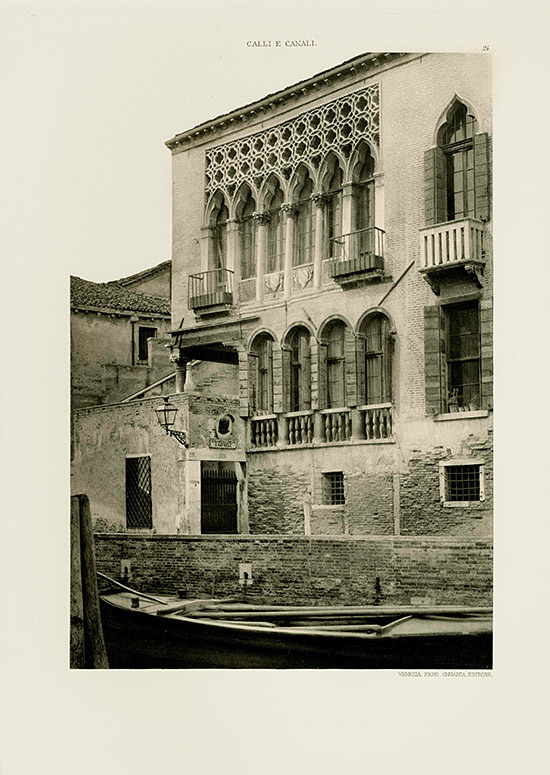 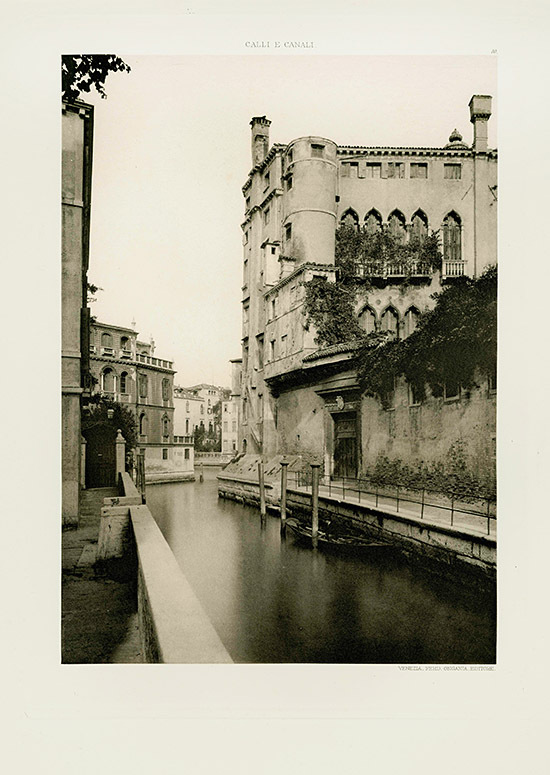 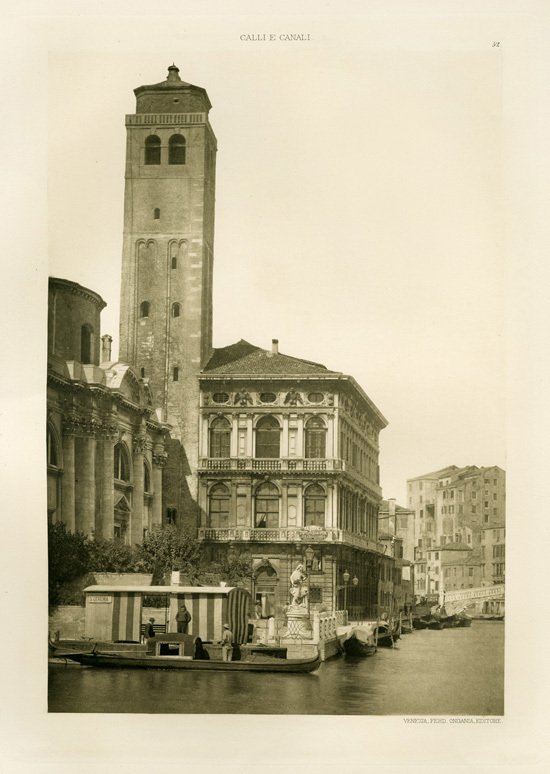 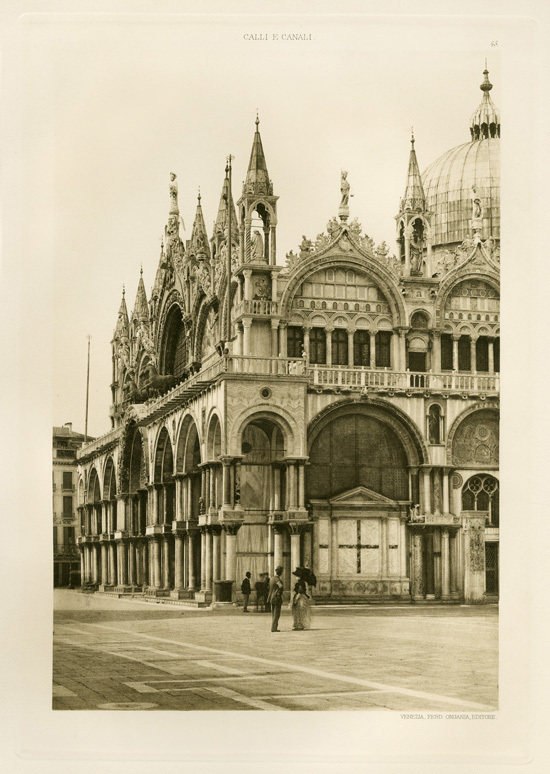 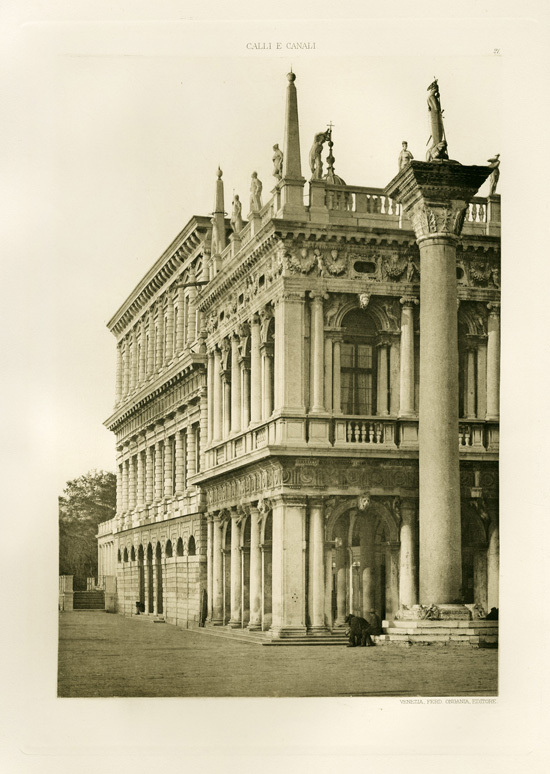 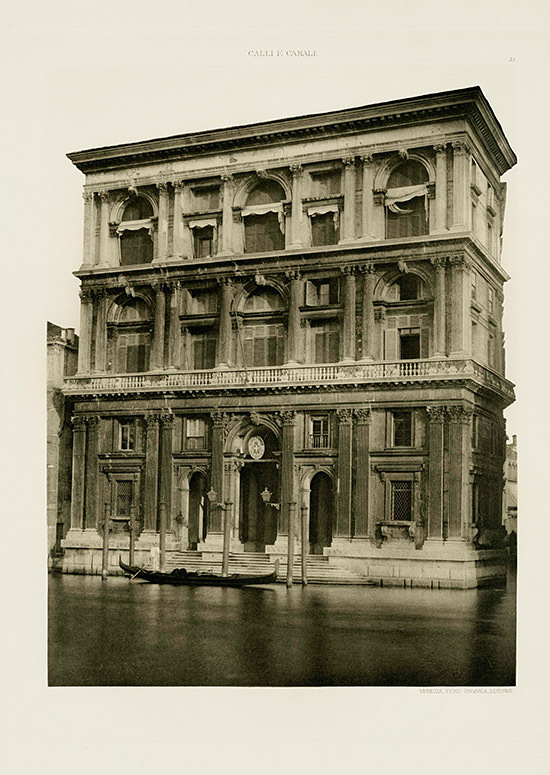 It is with great pleasure that we present these hauntingly beautiful original photogravures of a bygone era in Venice, from the first and only Italian edition of Calli E Canali in Venezia. 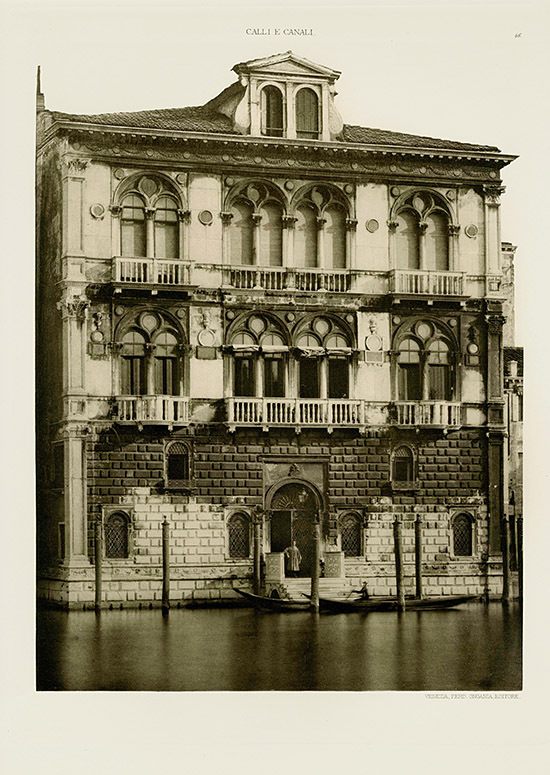 Ferdinando Ongania was an antiquarian book seller, with a shop in St. Mark's Square, Venice. 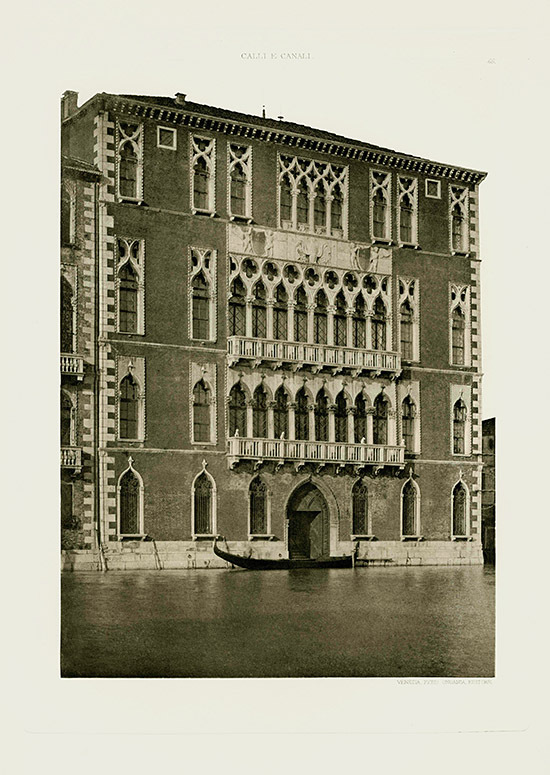 His love of Venice inspired him to record the architecture of his beloved city, but Calli E Canali in Venezia was surely his masterpiece. 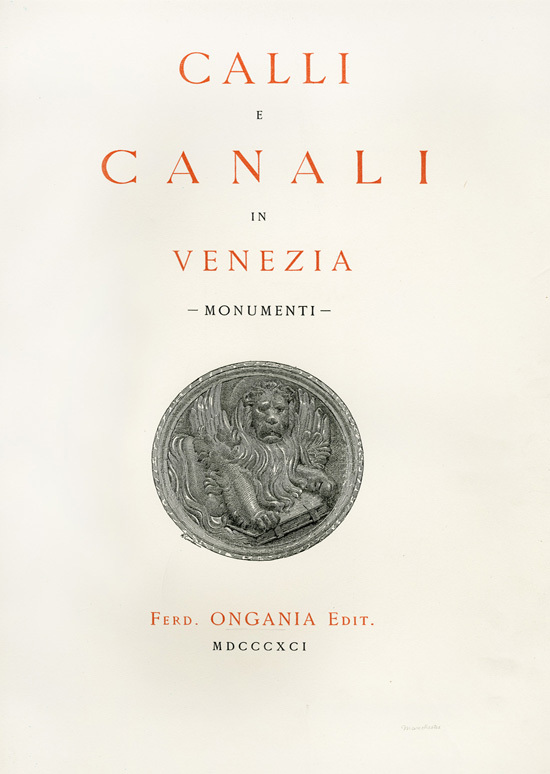 St Mark�s Museum in Venice had an exhibit in 2011 celebrating Ongania�s work. 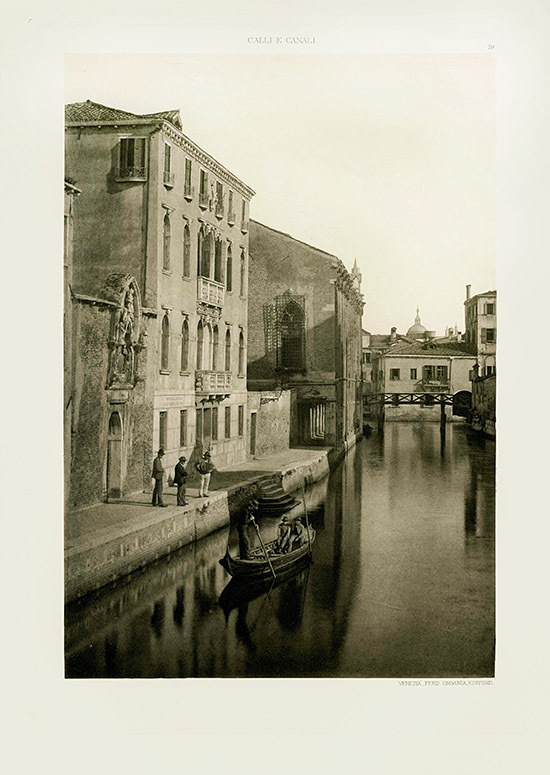 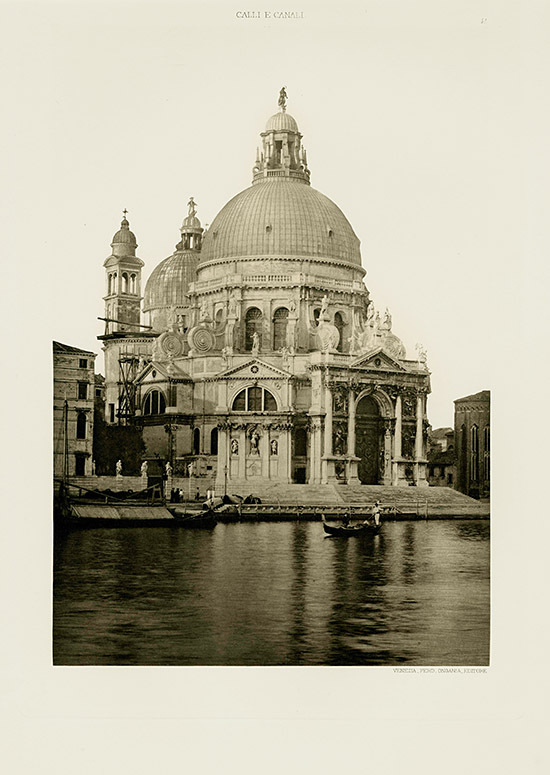 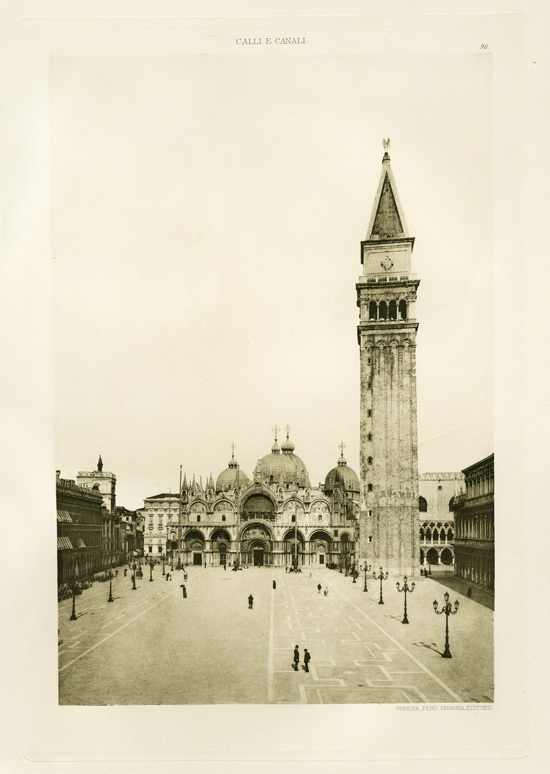 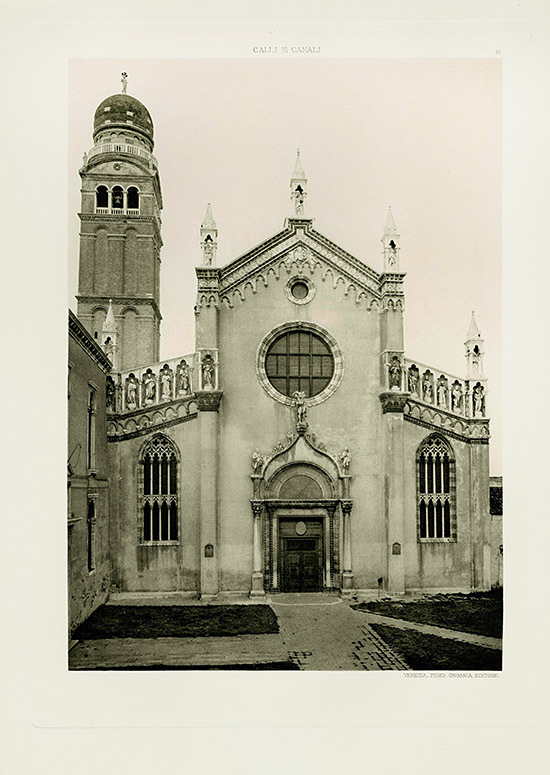 These beautiful, finely produced original photogravures on creamy, luxurious thick paper reveal a Venice of a bygone era that has been lost forever. 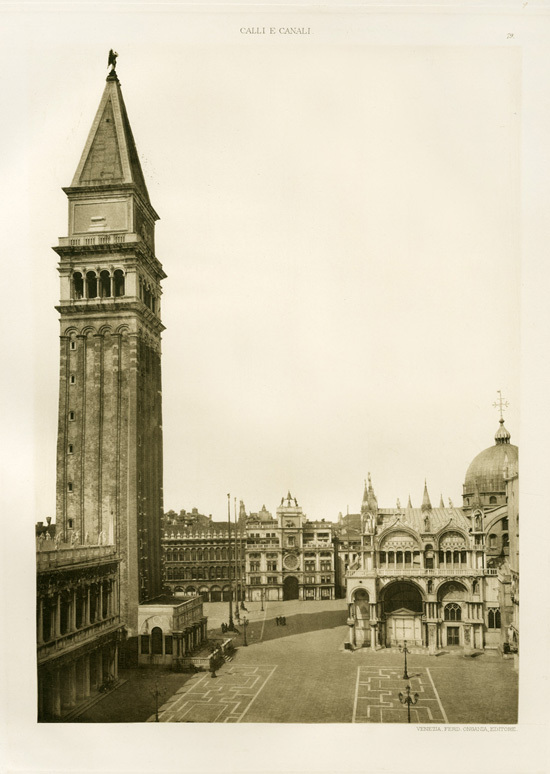 It captures a more serene time in the nineteenth century before the annual invasion of 15 million tourists that the city now experiences. 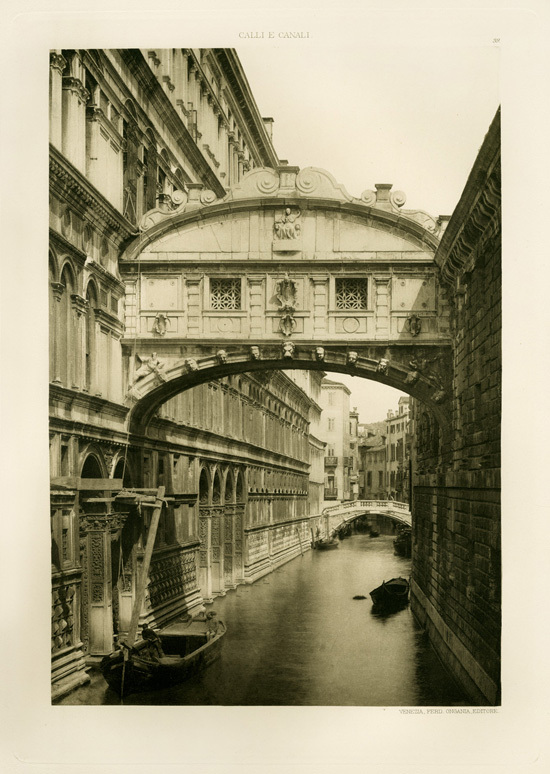 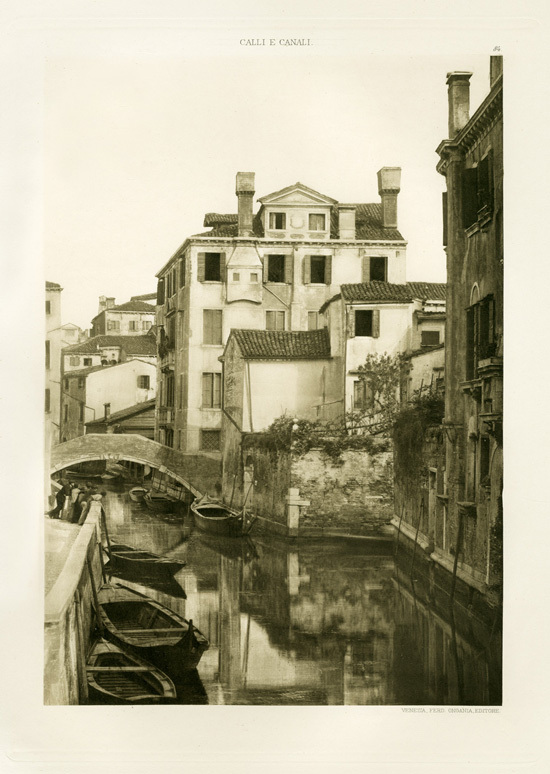 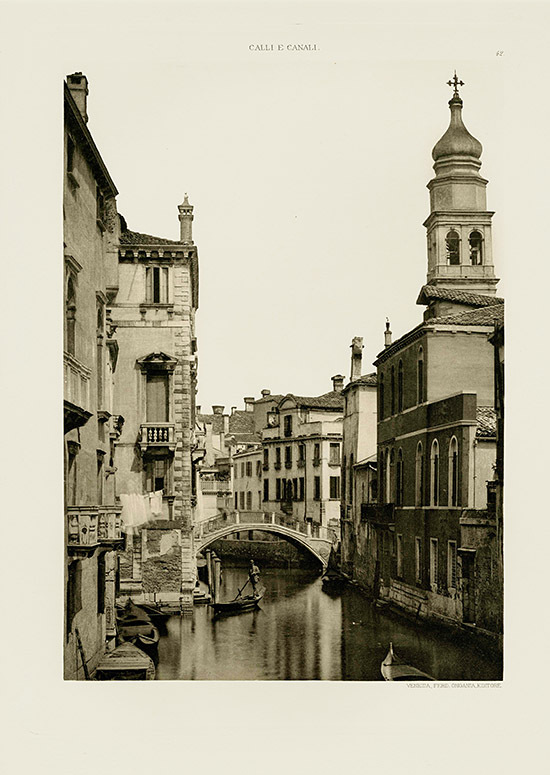 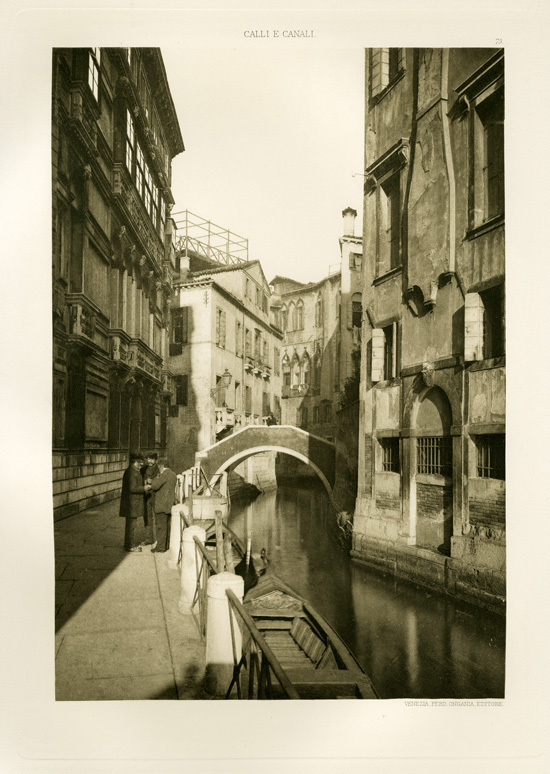 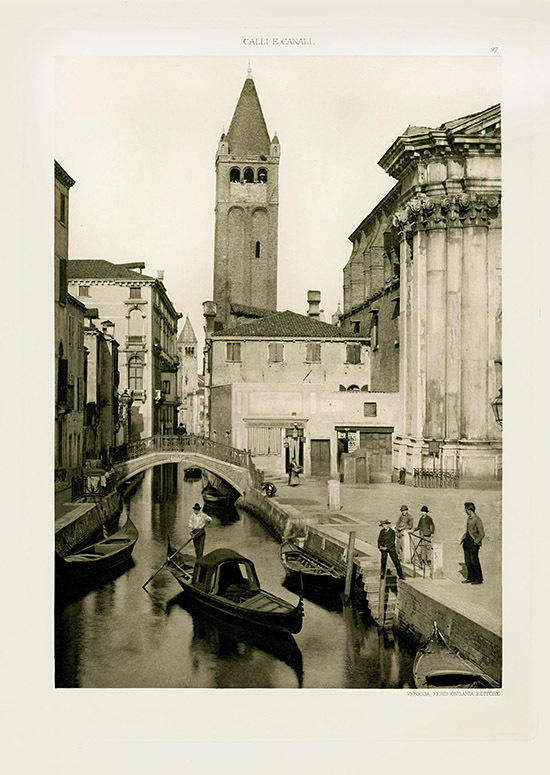 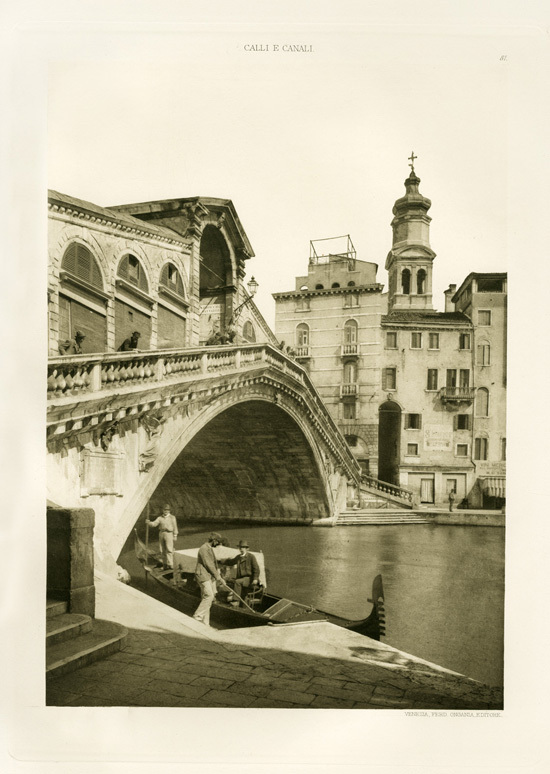 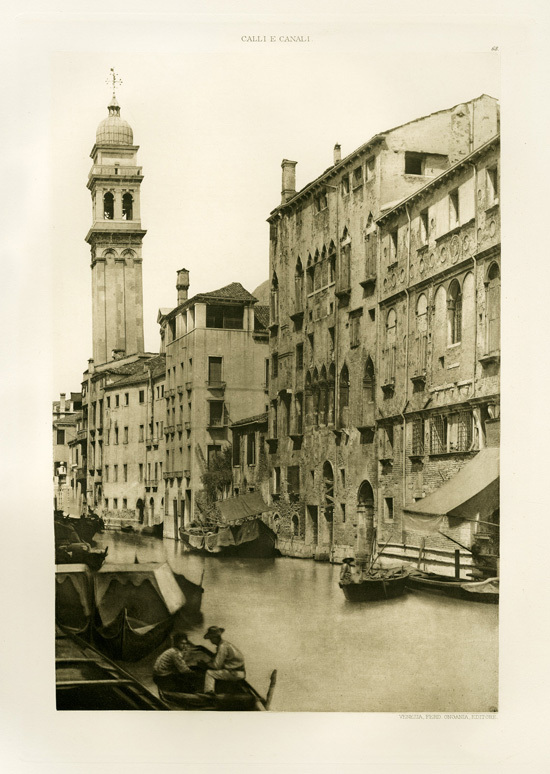 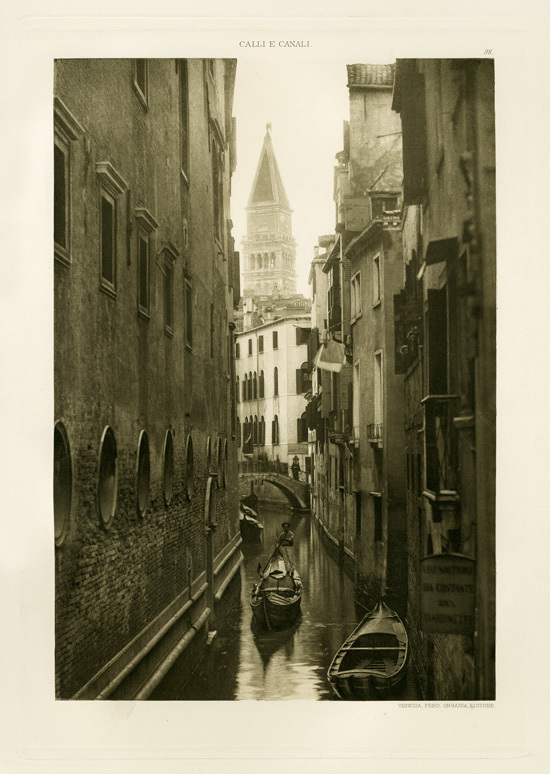 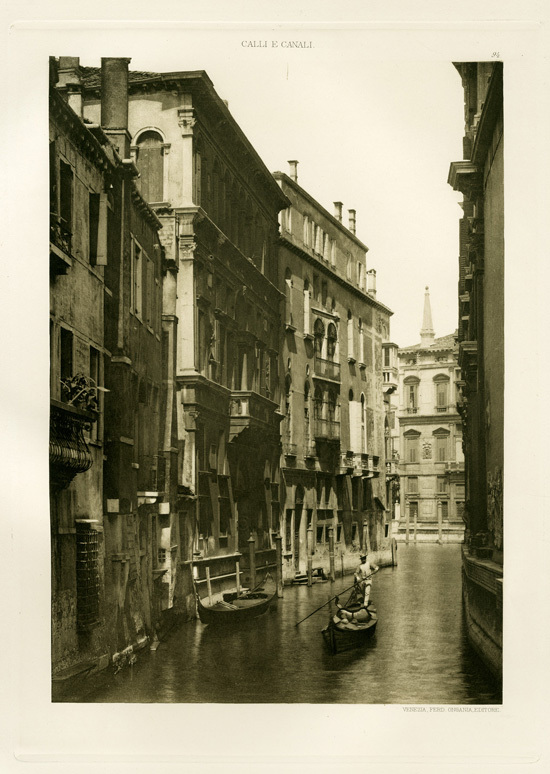 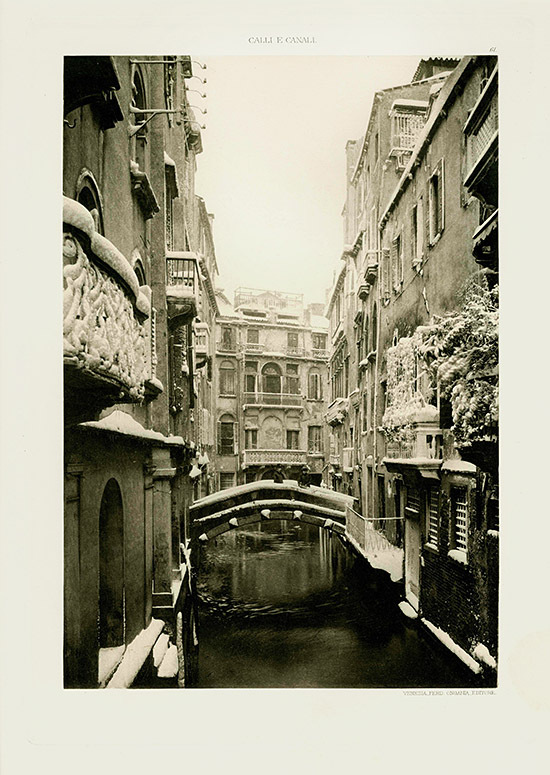 The luminous photogravures, in subtle black and sepia tones, portray an idyllic world of palazzos, canals, and bridges where scenes of enchanting beauty were part of everyday life.